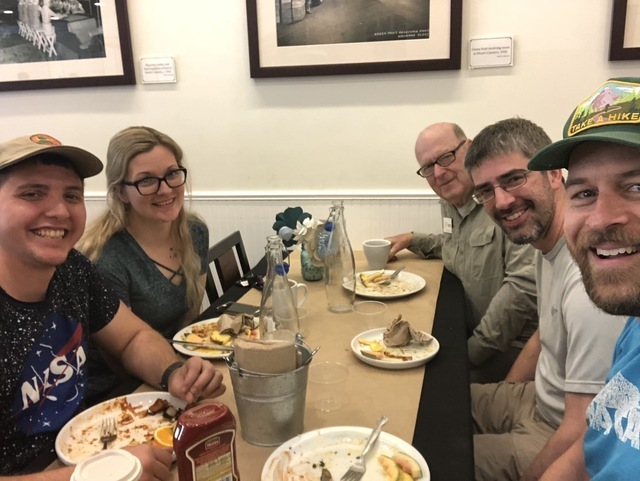 Welcome to the May 2018 edition of SOTA News. My thanks go to the following contributors:- Barry GM4TOE, Skip K6DGW, Roy G4SSH, Kevin G0NUP, Warren ZL2AJ, Paulo CT2IWW, John G4YSS, Phil G4OBK, Mark M0NOM. The April 2018 edition of SOTA News was viewed more than 910 times. SOTA AWARDS APRIL 2017 from Barry GM4TOE - SOTA Awards Manager. April was a very busy month for awards with many participants claiming the higher levels but also a notable number of newcomers claiming the entry level awards. Congratulations to Mountain Goats HB9DGV, HB9IIO, KW4JM, K1LIZ, SP9PND, HB9NBG and LZ1GJ and Shack Sloths KU4R, EA4AAI, W0SEB, AA1VX, KJ4M, CT1IXX and W7GJ. Higher level awards have been claimed by SP9PND (Activator 2500) and Supersloths W2SE and KA5PVB. Most unusual claim of the month goes to G4DQB, Chaser 500, all Narrow-boat Mobile. Is there anybody else out there who can claim unusual locations or modes for Activations or Chases? This is an ongoing theme of my monthly reports – do folks just ignore what I write? I have a continued stream of inaccurate claims: missing qualification dates, wrong certificate ordered, incorrect email address and this month (quite honestly, beyond comprehension) two wrong claims for trophies. In future if the wrong (or missing) information is on the order you will receive the order as placed or, if information is missing, the order will be cancelled. I spend enough time working on awards and do not have the time available to chase participants for the information which is required. The information is available from your database log, check it and make sure your claim is accurate, then double check your order to make sure what is on the order is what you require. I will always try to help if you are not certain what to claim, my contact details are on the website and on the shopping site. Well, hello again from the Western Hemisphere! As you can see from the statistics below, things picked up smartly in April. I don’t recall having over 9,000 chaser QSO’s before … but then there are lots of things these days I don’t recall. Buried in those numbers is a noteworthy achievement: We had what I believe is the first activation in XE2-Mexico Norte’. XE2N activated XE2/AG-008 on 8 April. Among other chasers he may have worked whose reports are buried in what seems like terabytes of SOTA activity is a QSO with XE2AT on 2 m FM. The only reason I know this is that the statistics generator produces a hugely long detail file, and XE are the last associations before the summary statistics. Tennessee has a new Mountain Goat – John, KJ4ZFK. Congratulations John! Fred, KT5X [also known as WS0TA] reports that Mike, AD5A, has earned the first NM Iconic Peaks Award by a non-NM summiteer. Mike activated Wheeler Peak, Hermit, Taylor, Capulin, and Pedernal beginning in Sep 2015 and completing on 10 Apr 2018. Congratulations Mike! Fred also called attention to the New Mexico Century Award for 100 chaser QSO’s with NM summit activations. So far, there have been four awards: NS7P, K6EL, W0MNA, and W0ERI. Now, Phil, NS7P, joins … well – no one … he’s the first to be awarded the NM Double Century Award!! Fred says he has at least 30 medallions on-hand in 4 different designs. Ryan, WG4I, reported on the W4 Campout at Roan Mt. State Park [TN] where he joined the Herd along with Scott, KW4JM. Dean, K2JB, conjured up a large pot of his famous SOTA Chili and dutch oven cornbread for Friday dinner. Congratulations to our new goats and many thanks to Dave, AE9Q, for the photo. Bob, K0NR - W7M AM, reported that Lance, W7GI has joined the Society of SOTA Shack Sloths with 604 chaser points in April. And finally, Phil, NS7P [yes, that Phil … again] worked his 5,000th unique summit as a chaser, thanks to Dean, K2JB, who made a quick QSY to 20 to bring it off. John, VA7JBE sent a photo of an activation of Mt. Garibaldi, VE7/SL-009. Some summits are walk-ups, some are drive-ups, and some are ski-ups. K0NR provided a link https://youtu.be/iu9Zps4hQbg to a presentation on SOTA to a radio club which may be of value to those asked to do likewise for their club. I [K6DGW] also have a Powerpoint presentation from several years back given to the No. Calif. Contest Club. Possibly we should start a library of resources? 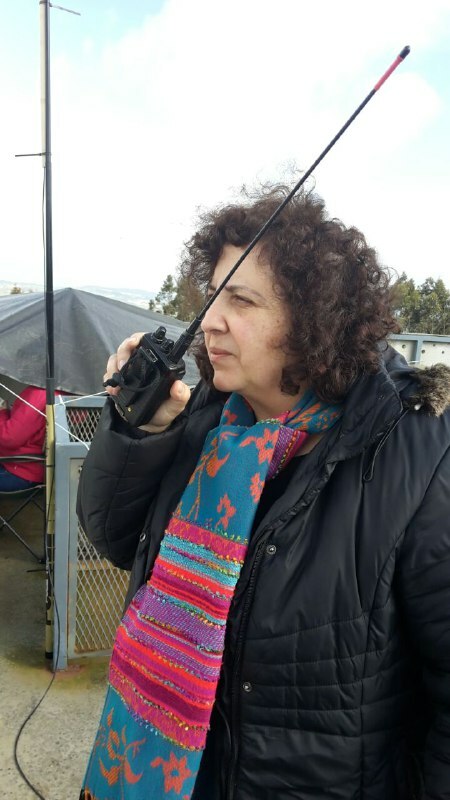 "Brazil will join the SOTA community for good… Tomorrow, April 19th, around 16UTC, PY2GTA/p, João Carlos Vieira, will activate PY2/SE-012. He will use 15 and 20m, SSB, CW and FT8. This is the first activation of Brazil and hopefully many more will follow. PY2 is the first association in Brazil association with 804 SOTA summits and 15 regions. Brazil is a huge country (200m inhabitants, 8 515 767 sq km and more than 32.856 amateur radio operators) which will add several thousands summits to the SOTA Program. That’s it for this issue, thanks to all of my contributors. Summer is almost here … in the N. Hemisphere. I am in Czech Republic with Victor GI4ONL. We are doing 8 days SOTA in the western part off the country bordering Germany. Eva HB9FPM helped us in applying for Czech licences, so Victor is OK8VM and I am OK8CDX. We will be active on summits until 9th May using the 20, 30 and 40 metre bands. 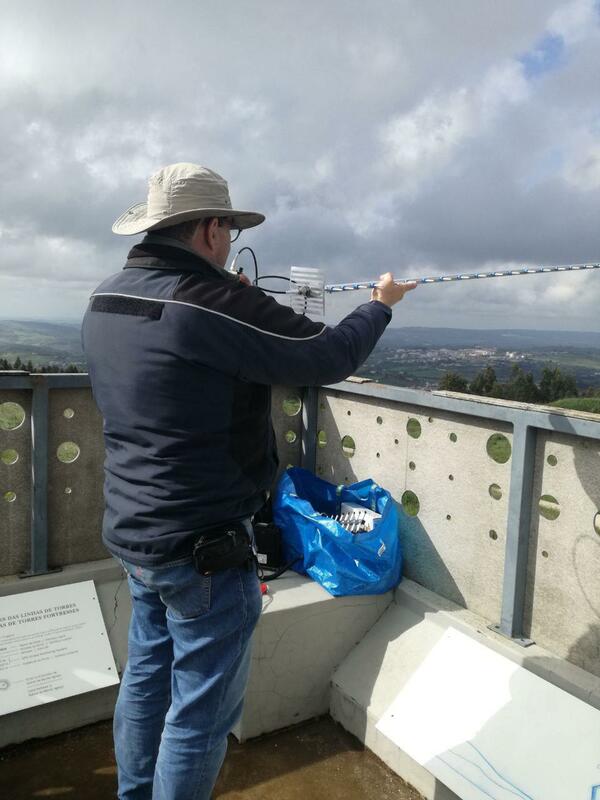 Despite the unpleasant weather, close to 15 stations were setup on SOTA summits on April 21st, in observance of SOTA Portugal Day. Rain and wind were a constant presence on some of the activations but that didn’t hamper the will and high spirits of the activators. Contacts were made on HV, VHF and SHF, with most of the activations occurring in the northern and central regions. A few of these stations operated all day long and sported multiple operators. The original date for the event was April the 7th but the worsening of weather conditions on the eve, brought on by a cold front that spawned high winds, thunderstorms, rain and snow forced its postponement. 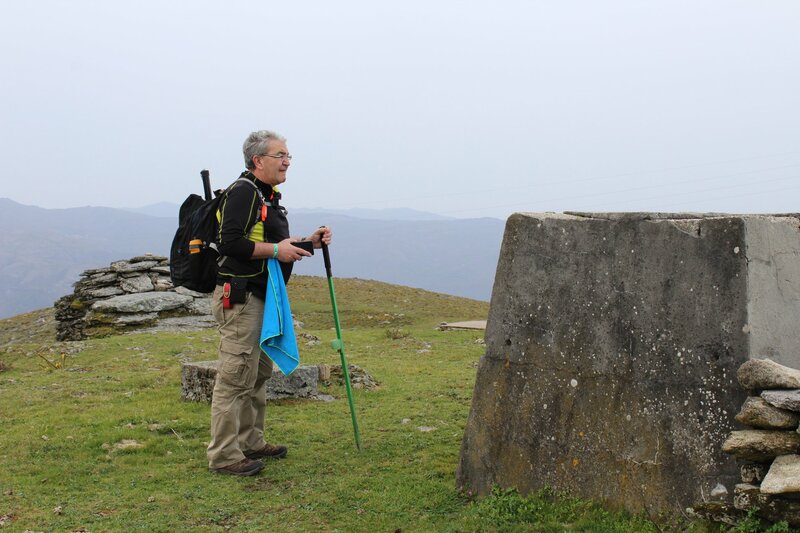 However, for those stations that did brave the elements on that day (and a few did go up the hills) the organization of the SOTA Portugal Day extends the offer of a participation diploma. The electronic diploma will be provided to those who participated, both on the 7th and 21st of April. It can be request to the above emails by sending their activation and/or chase logs, as well as images or videos of their activity. Next May 12th and 13th Portuguese SOTA enthusiasts, activators and chasers will meet in Lisbon for the annual gathering. The fifth edition of this meeting will last two days, with the first one (12th) to take place at the ARVM club headquarters, in Moscavide. This day is reserved for a series of presentations. 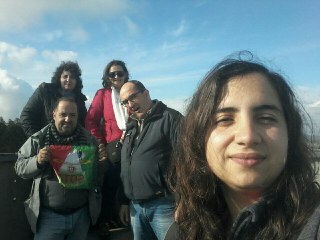 On Sunday, there will be a group activation on a yet to be determined summit, somewhere near Lisbon. 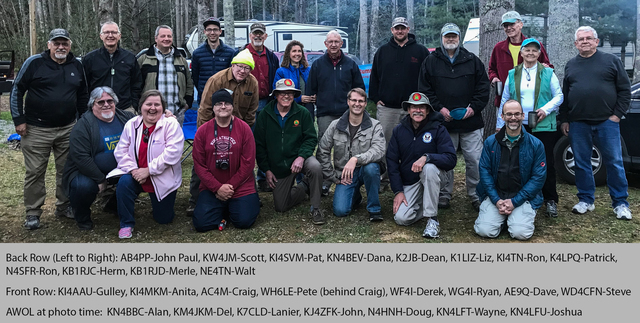 It is never nice to start a column on a sad note, but unfortunately we lost a great amateur radio operator, SOTA activator and general great guy on the 22nd of March this year to what appears to be a sudden heart attack. Andrew White, ZL3CC had a major influence in amateur radio, AREC and more recently SOTA from Christchurch and surrounding areas. He had recently achieved shack sloth award for reaching over 1000 SOTA chaser points, with a total of 1038. He also holds 84 activator points, after activating Trig M ZL3/CB-536 the weekend before his passing. He made comment that he was having back trouble at the time so opted to leave the heavier HF equipment at home. This was likely a warning that was dismissed as a routine ache. Andrews passing shocked many including myself and serves as a reminder how precious the time we do have here is. In honour of Andrew, Wynne and I propose a New Zealand day of SOTA, with the aim of encouraging SOTA activity from both experienced and new amateur radio enthusiasts. This day will be held annually on the next Saturday after Andrew’s birthday, the 12th of September. It shall be called the Andrew White memorial SOTA Activity day. While there is no time set for activators, it is expected a time of around 0100 – 0200 will be ideal to take advantage of summit to summit contacts if that is your goal. I think this is a fitting tribute to Andrew, and I hope it will be supported by many in the amateur community. Whether you are activating or chasing, doing it for the first time or having another crack at it, do join us in remembering Andrew with some outdoor radio fun. This year it will fall on the 15th of September. Please mark your calendar accordingly. There are a few new callsigns in the activations recorded for March and April which is good to see. 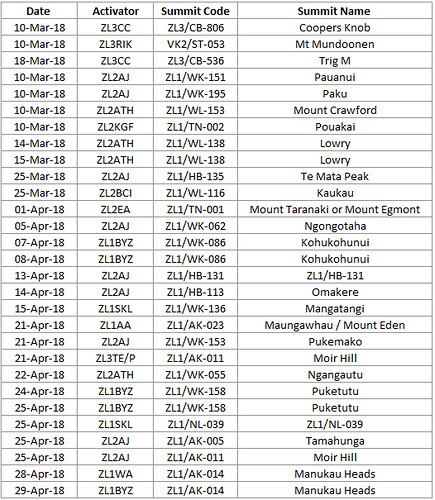 Notable activations include Colin ZL2EA activating Mt Taranaki for the first time. He only made one contact as he was only active for a few minutes. Kyle who worked Colin and was his only contact had to bail from the ascent due to an old injury flaring up. We hope Kyle will be able to make this summit next autumn. With 5 MHz now available, a few activators have made good use of this band. On the 5th of April I qualified Ngongotaha ZL1/WK-062 on 5 MHz. I believe I was the first to do this in ZL. The first 4 contacts made are sometimes referred to as the qualifying contacts as once you have 4 contacts you are awarded the activator points. When I am activating I usually announce my first 4 contacts (when I remember to) as “you are contact number two – thanks” or similar. So to qualify a summit on 5 MHz means the first 4 contacts I made were all on 5 MHz. I was surprised to achieve this as 5 MHz is not achievable by many yet. Thanks to John ZL1BYZ, Jacky ZL1WA, Wynne ZL2ATH and John ZL1DT for working me on this band. You may have seen Ngongotaha in the news recently with images of a waterfall running through the speedway track. Luckily the day I walked up this summit the sun was shining – at least it was until it set. I walked down in the dark. On Saturday the 21st of April you will see ZL1AA Auckland branch callsign in the list. Arranged by Soren ZL1SKL, a branch excursion to Mount Eden, central Auckland was made to demonstrate SOTA to fellow club members and potentially wet a few appetites of those who were present. Thanks Soren for taking the time to organize this branch activity. Maybe we might see a few more activators join the ranks. I worked Soren summit to summit from Pukemako (Sanitorium Hill) near Cambridge and ZL3TE worked him form Moirs Hill (near Warkworth). Sometimes these excursions will motivate others out to catch summit to summit points. It helps when the weather is favourable too. A similar alignment of activators occurred on Anzac day. John ZL1BYZ from Puketutu (Bombay hills), Soren from a high point on the Brynderwyns and myself at Tamahunga near Warkworth all managed to work each other summit to summit as well as a good collection of chasers. The walk up Tamahunga was longer than it looked on the map so thanks John and Soren for waiting around for me. I will be doing a talk at NZART conference in Dunedin on SOTA this year so if you see me there please introduce yourself. I realise you will probably read this after the event if you are reading this in Breakin, but this report also appears in the monthly SOTA newsletter which some of you may also read. It can be found on the sota reflector at reflector.sota.org.uk. 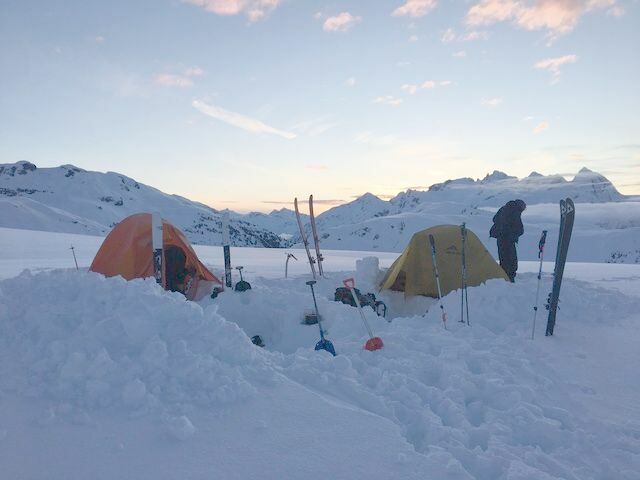 With winter coming remember that while bonus points may be available for the taller summits, please consider your safety when trekking at altitude and make sure you have 2 forms of communication (not usually a challenge for amateurs) and that someone on the ground floor knows where you are going and when you will return. My 4000th point was gained on a very fine Swiss summit, HB/GR-025 (Piz Picuogl) on the 8th April 2018. There was some climbing on the ridge to reach the summit, and had we taken a rope with us to the summit, we would probably have used it! However, it was a lovely day and I was able to sit comfortably in the sunshine during the activation, anticipating the exposed climb back along the ridge! This was in contrast to my 3000th point, which was gained on GM/WS-200 (Pap of Glencoe) on 4/1/2016. As is often the case we were sheltering on the lee side of a Scottish summit cairn and the wind was so strong we were required to do a bit of crawling to get safely to the top. The 8266 QSOs come from transmitting from 684 summits (183, 153, 180 and 168 summits; and 1710, 2180, 2620 and 1756 QSOs respectively for each goat!) That is an overall average of 12 QSOs for each summit and for each Goat the average was; 9.3 QSOs, 14.2 QSOs, 14.5 QSOs and in the previous 27 months this has fallen to an average of 10.4 QSOs. This confirms my perception that contacts have become more difficult in the last couple of years. The number of QSOs on each summit has ranged from 1 QSO (5 summits) to 59 on GM/CS-029 (Carn Liath) on 26th August 2017. In fact there have been a small number of summits where I made no QSOs, but obviously I did not record them on the SOTA database. After rehearsals on two Scottish summits, I was successful on the second attempts, but for the overseas ones, they were good experience, or so I tell myself. The 684 recorded summits comprise seven where I failed to make 4 contacts (most overseas, one in Scotland). In my home association of Scotland I have transmitted from 500 summits, down to single summits in Denmark, Lichtenstein, Sweden, Poland, Slovakia, USA and Luxembourg. I note, with some surprise that my second highest summit total (44) is Switzerland, third is Austria (OE on 27) and fourth is England with 25 summits. I have been very fortunate to travel overseas with work and holidays and officially I have transmitted from 25 SOTA associations so hold Platinum Mountain Explorer Award Status. Of the 684 total there were 88 summits worth 1 point, 113 worth 2 points, 184 worth 4 points, 90 worth 6 points, 88 worth 8 points and what would be my preferred option every time, 114 summits worth 10 points. I think the highest peak so far has been the Strahlhorn (4190m), HB/VS-016 in April 2017. I enjoy the extra challenge of activating in winter, or at least I have up until now, with 191 (27.9%) of my summits qualifying for winter bonus points. I can also substitute the avalanche probe I am carrying anyway to support the dipoles, instead of a fishing pole! Using skis is particularly good for descent and this was the method I used to ascend HB/GR-025 (Piz Picuogl) for my 4000th point. Although we also summited on Piz Kesch (HB/GR-012, 3418m) two days later, the weather and climbing conditions dictated a swift descent with no time for an attempted activation. 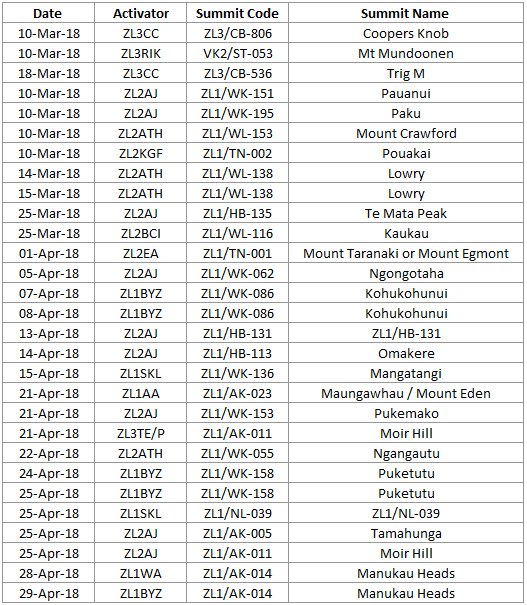 The maximum number of summits I have activated in any 24 hour period is 4 on 6th November 2011, 5th May 2012, 19th July 2014 and 31st May 2015. Multiple summit days seem to have been less common in recent years! There are 2373 different call signs in my log, although a small number are duplicates when mobile/portable/etc, and I found a few errors which I corrected (there will be others I know), so I have contacts with just under 2373 people. A big thanks to everyone I have spoken with since January 2011; long may it continue. There was apparently one data transmission, which is definitely an error that I’ll need to identify and correct. As I only use voice the split is 1712 QSOs on FM and 6559 on SSB. I really started using 20m on an overseas trip when my 40m antennae snapped and I couldn’t repair it in the field. It is great to speak to chasers across Europe and I have regular transatlantic contacts, which are always a pleasure. However, my QSO with Paul, VK5PAS, in South Australia was special. I have also spoken with a station (Palmer Station) in The Antarctic, although I was on Two Sisters (VP8/EF-013) in The Falkland Islands at the time! My most popular SSB band is 14MHz with a total of 3991 contacts, 7MHz with 2340. I did attempt previous SOTA challenges and amassed a paltry 197 contacts on 24MHz, and on 28MHz only 23 contacts and a fine total of 3 on 50MHz. On FM I have 1712 QSOs on 144MHz. From the start of my activation career I have used the same FT817 and a VX7 both blasting out 5 watts. I never invested in a lightweight ATU so relied on resonant inverted-V dipoles; this explains why so many of my activations were single bands. Recently I took delivery of an Elecraft KX2, but having experienced microphone problems, I still carry the FT817 as a back-up. So much for trying to lighten the load. My thanks go to all of the chasers with whom I have spoken. It is a joy (and often a relief) to speak to you all. However, my top 10 chasers are Don (G0RQL on 205 QSOs). It is always a pleasure to hear from Don, also reassuring that all is well with the World! Manuel (EA2DT with 155 QSOs) is a regular. Next is another Spanish station Pedro (EA2CKX on 147). Ken, who also lives in Edinburgh (GM0AXY on 105), has been my local radio expert, and he keeps me up-to-date reporting the conditions and weather at home to help me while activating. Robin (GM7PKT/P on 88, plus 11 mobile QSOs, a total of 99, but most of those with Robin being summit to summit contacts), Mick from Manchester (M0MDA on 94). Christine also in Edinburgh (GM4YMM with 78 QSOs) Marius (SP9AMH) with 77, Michael (DJ5AV) with 75 and number 10, Borek (OK1SDE) with 71 QSOs. Thanks to MM0DHY (Adrian) who was the reason I took up SOTA, at least that is who I blame when blame is required!!! Despite the excitement of activating The Inaccessible Pinnacle on Skye and then later The Old Man of Hoy in August 2016, I look forward to future joint activations, I think! I would also like to thank the members of the Cockenzie and Port Seaton Amateur Radio Club, especially Bob Glasgow BEM (GM4UYZ), for guiding me through amateur radio licencing so successfully. Many, many thanks again to everyone for all of your support and help, 73s and I hope to speak to you all further down the log. 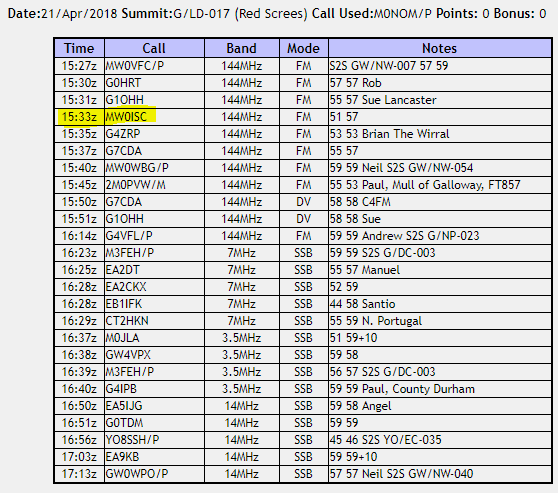 Just wanted to mention that whilst activating Red Screes G/LD-017 my local ‘high’ summit for the EU<>NA S2S event on 21-APR-2018 I had a QSO with Stephen MW0ISC which he then informed me had taken him over the 1,000 point chaser mark. Hello everyone & welcome to this month’s edition of SOTA on Top Band. Thanks & very well done John. 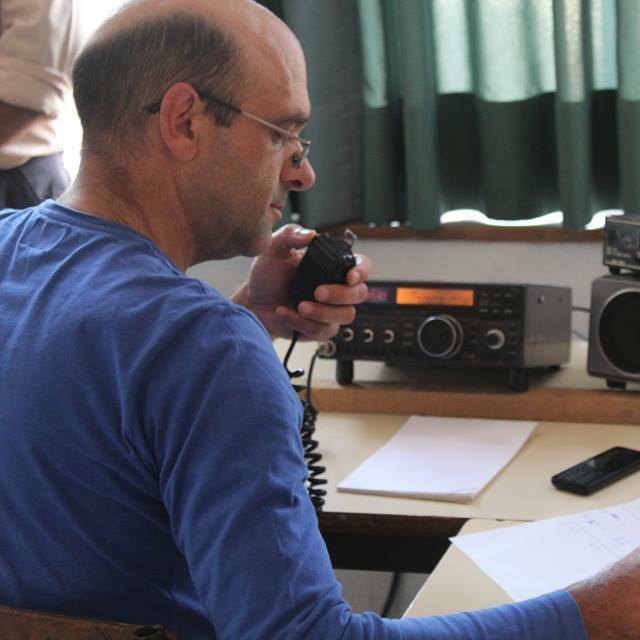 David	as CT7/G4ZAO/P in the Algarve. SOTA News is normally published on the last day of each month, but there will be occasions when the Editor is not available at this time, in which case it will be published as soon as possible afterwards. It can only be as interesting as the items submitted, so if you think your particular field of interest is not being covered then please submit an article by the 25th of the month. Have you a favourite SOTA? favourite mode? favourite rig, antenna, or favourite band? How did you find your first day / month / year as an activator or chaser? Your comments and experiences will be read by enthusiasts all across Europe, the USA, Australia and beyond, in a total of 114 different SOTA associations worldwide. Your input will be most welcome. We receive many e-mails during the month containing details of activations, milestones reached and general SOTA news. Unless advised otherwise we will use this information in the next edition of SOTA News. It is important therefore that you advise us if any information is not intended for publication. For ease of processing, please submit your input by e-mail direct to the addresses below and not via the Reflector.